It’s no secret that job interviews can be incredibly stressful – even more so when you’re interviewing for a job that you really really want. All too often in situations like these, nerves take over and before you know it, all your careful planning and preparation has disappeared, and you’re sat suffering through an awkward interview. Instead, allow yourself the opportunity to put your best foot forward and sail through that interview, giving yourself the best possible chance of succeeding. Here are some top tips to help you project confidence, professionalism and experience – you’ll be on the road to success in no time at all! Dressing well doesn’t just mean dressing smartly (as that’s pretty much a given for a job interview) so in addition, you need to be projecting the best possible version of yourself. Remember, in situations like this, first appearances really are everything, so it’s essential that you look smart, professional, and well suited to the job role you are applying for. However, that being said, it’s also important to feel comfortable in your outfit as wearing something smart but uncomfortable is likely to only make your nerves worse – and many employers will be able to see that you aren’t relaxed. If in doubt, it’s best to go for something classic – think timeless chic rather than a modern fad. As a general rule, if you aren’t 100% happy with the outfit you have chosen, it’s probably best to go back to the drawing board. Don’t forget to pick out accessories to match your outfit, either, as a well put-together look will speak volumes about you as a person. Think shoes, bag, purse, jewellery, scarf… there are endless different accessories that can complete your look. Click here for some luxury accessories offering the perfect way to finalise your interview-ready outfit. Walking into an interview with a smile on your face, offering a firm handshake and making eye contact with the interviewer/s will go a long way towards a positive outcome. 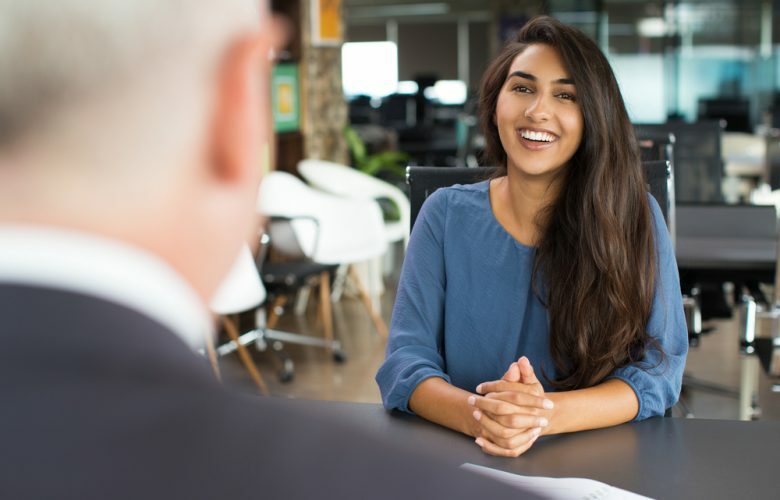 Of course, it’s only natural to be nervous before a big interview, so if you aren’t feeling particularly confident, you’ll need to plaster a smile on your face and do your best not to let the nerves come out! If you aren’t a particularly confident person by nature, you might find it beneficial to perfect a professional smile in the mirror beforehand. You can also ask a close friend or family member if they wouldn’t mind helping you by asking some mock interview questions so you can practice your answers ahead of the interview. Simply find a list of the most commonly asked job interview questions, hand it to your helper, and get started! There’s nothing worse than going into a job interview with zero preparation. There’s just no way around it – you need to know your stuff in order to succeed. This means preparing by researching the company and position you are applying for, as well as the industry if you are considering a career change or planning to head down a different career path to your current job role. However, being knowledgeable about the job doesn’t just mean reading and regurgitating the blurb on the business’ website. It’s important to put your own spin on what you are saying, adding your own knowledge and experience into your answers in order to showcase your suitability for the specific role. You need to be knowledgeable, insightful and focused, but at the same time, don’t be afraid to let your personality shine through your answers and provide the interviewer/s with a display of your individuality. It’s a fine balance, but at the end of the day, nothing is more important than being honest about your skills and experience when you are being interviewed. So, the next time that you’re preparing for a job interview, don’t forget to follow these top tips and maximise your chances of snagging that fancy new position!